Continue readingWordPress 4.0 is out! If there’s one thing I learned in the web development field, it’s that time is money. There are budgets to be faithful to, deadlines to aim for, and when you’re a developer who wants nothing more than to have the most beautiful and efficient code ever – sometimes those things can come at odds. So what do you do? Do what you humanly can. Write the cleanest most awesome code you can, but be mindful of doomsday the finish line. 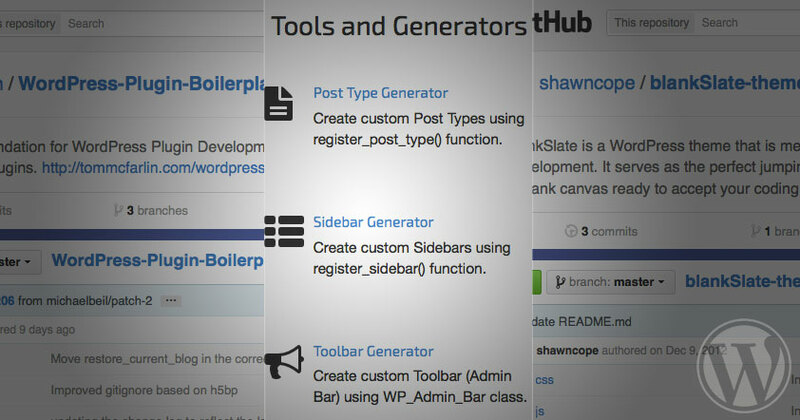 And try out these 5 WordPress tools and boilerplates!